Porsche continues to make progress in developing its Mission E electric sports sedan, and apparently it's made enough of them to let former F1 driver and recent Porsche 919 Hybrid endurance car driver Mark Webber take a turn behind the wheel. The company got his test drive on video, along with his impressions. He seems quite pleased. In the video, Webber notes that it feels a bit like the 919 race car when the 919 is running in full EV mode. He also likens the view over the Mission E's front fenders to that of the view in the 918 Spyder hypercar. Besides that, he says it feels quite nimble for being so heavy, and he seems to confirm that the car will have about 600 horsepower. The concept was shown with a claimed power of 590 horsepower, and there have been rumors of multiple versions with power ratings of 402, 536 and 670 horsepower. Webber's statement seems to contradict the rumored outputs, but we also wouldn't be surprised if Porsche still offers multiple versions with different power ratings. The Mission E is expected to hit dealers in 2019. The concept promised extremely fast charging of 80 percent capacity in just 20 minutes using 800-volt fast chargers. The company is currently working on installing these high-voltage chargers around the U.S. to take advantage of the feature. 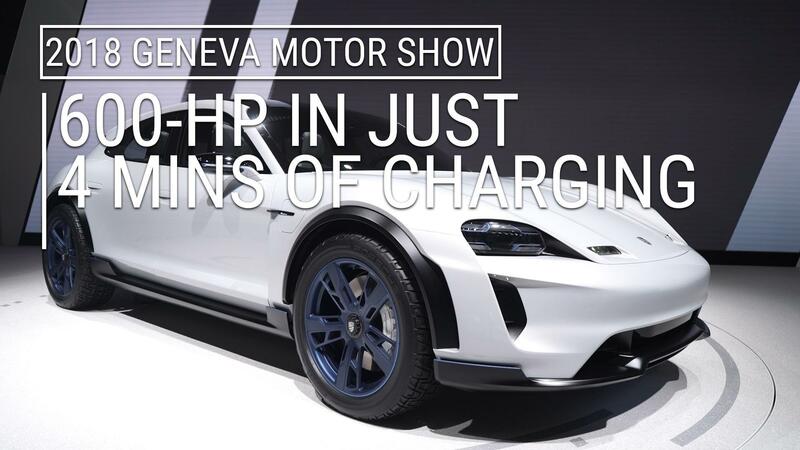 Besides ultra-fast charging, Porsche also promises that the Mission E will be able to take some serious driving abuse in track circumstances.